If you are mad about color, we applaud you. Mixing bold, bright colors is the spice of design life. If you prefer to color your world with a more subdued palette, this article is for you. A baseline set of harmonious tones in your home gives you a great deal of versatility. It translates into a more calming environment. Plus, you can change out accent colors anytime you want. The same holds true for the soul of your home, the kitchen. We want your new kitchen to be a design adventure rather than an exercise in frustration. We want to excite your imagination, helping to make your final design more unique. When it comes to the subtle use of color, design doesn’t have to be boring. Your ProSource Showroom team can show you how. Among the creative ways to treat color, consider using a mix of materials and textures. Go tone-on-tone or gradate color. Make strategic use of subtle patterns. Install contrasting cabinet hardware. Incorporate unique design elements. Along that line, did you know that ProSource Wholesale carries intriguing elements like wood medallions? We know, right? They let you up your design game by adding pizazz to your flooring. And you don't have to break the bank to do it. Visit your local showroom or view the online product catalog to see our cache of design elements. In the meantime, let us regale you with some subtle design food for thought. Add the warmth of wood to cool materials like tile and glass. Pop in hardwood or laminate flooring with boards of varying color tones for a bit of drama. Use different textures of the same color or set of colors. Apply different shades of the same color to upper and lower cabinetry. Opt for color washed cabinets. 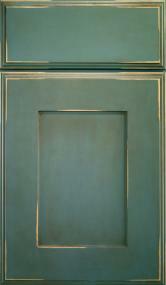 Glaze, distress, or heirloom age the cabinet finish. Mix cabinet hardware shapes, finishes, and textures. Add clear, opaque and/or patterned glass panels to cabinet doors. Combine complementary countertop colors and patterns. Use a mix of countertop textures. Use reflective, refractive glass tiles for your backsplash. Install high profile or wall mounted kitchen faucets. Create dimension with patterns like herringbone flooring. Finish your cabinets with a pale shade of a bolder color. Install a kitchen sink of a contrasting color, texture, or type of material. Add a wood medallion to a tile floor. Mix it up with tile shapes in the same color. 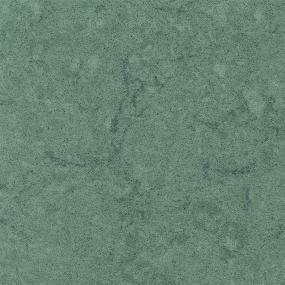 Use contrasting tile grout that complements your chosen color palette. Highlight cabinetry details with a contrasting or complementary color. Choose a soft hue of brown, yellow, green, orange, indigo, or even purple. Make it your signature kitchen color. The art of subtle use of color in your home is a skill you can master, especially with the range of products offered by ProSource Wholesale. Browse through the online catalog add those you like to your myProSource Project Center. We have the tools and know how to make designing your new kitchen fun as well as practical.